Today, in our section of articles dedicated to the emblematic historical environment around our restaurant, we will talk about a little gem that is barely 100 meters from our place: The Chapel of Santa María de Jesús. If we enter the Puerta de Jerez from where the famous gate once stood, that is, leaving behind the river, we will find a discreet church on our right before entering the Avenida de la Constitución. Thistle chapel, sunk below the current level of the ground is owned by the University of Seville and is the only remaining part of the College-University founded by Maese Rodrigo de Santaella in 1506. Master Rodrigo Fernández de Santaella y Córdoba was born in Carmona on December 15, 1444. From his early years, there is little documentation. He is supposed to have studied the Bachelor of Theology at the Cathedral College of San Miguel in Seville and, at the age of 23, he went to Italy where he received his doctorate in Theology and Arts. Returning to Spain and after passing through various ecclesiastical posts in different cities of Andalusia and Extremadura, he is elevated to canon of the cathedral of Seville in 1496 and in 1500, to Archdeacon of said cathedral. He was a dreamer who wanted to found the first University of Seville, similar to the prestigious University of Salamanca. He obtained the permission of the Catholic Monarchs and acquired a site at the Puerta de Jerez, where he began to build the General Survey, running personally at all costs. Master Rodrigo wanted that his University could access students without resources where they would receive knowledge in the Theology, Philosophy, Law and Medicine Chairs. Unfortunately, Maese Rodrigo could not conclude his generous work because in 1509, seven years before the start of classes, he died, being buried in the study chapel, called Santa María de Jesús, at the foot of the Main Altarpiece. The Studio remained in the Puerta de Jerez until 1836, the year in which it was moved to the current street Laraña, specifically to the old Jesuit-Professed House, where it lived a little over one hundred years, to pass in the 20th century, to the Royal Tobacco Factory. That primitive College was used as a seminary until, in 1920, on the occasion of the Ibero-American Exposition of 1929, the building was demolished to widen the connection of the Puerta de Jerez with the Plaza de la Constitución. 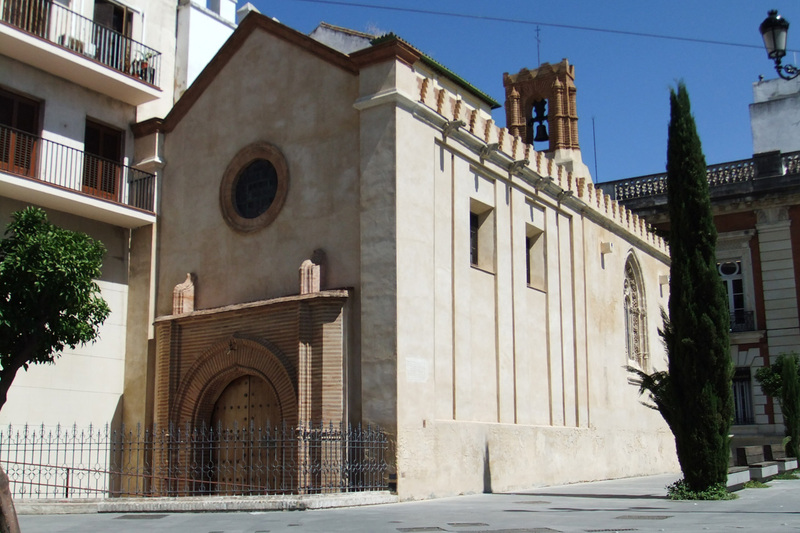 Only the chapel of Santa María de Jesús was saved, thanks to the work of the prestigious historian José Gestoso, who achieved the declaration of National Monument of the same. At present, the building is owned by the University of Seville, having been assigned for several years and until very recently the General Council of Brotherhoods and Brotherhoods. Since then he continues to carry out his ecclesiastical work (there is a daily mass), which alternates with cultural exhibitions. Today, in our section of articles dedicated to the emblematic historical environment that surrounds our restaurant, we will talk about a little gem that is barely 100 meters from our place: The Chapel of Santa María de Jesús. 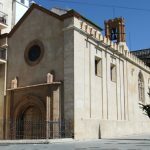 The building of the chapel is of late Gothic-Mudejar style, formed by a small rectangular nave, divided in two parts by a large toral arch of ogival outline. The presbytery has a characteristic gothic ribbed vault with terceletes. The main altarpiece stands out from this small chapel, work of Alejo Fernández, one of the main painters of the city at the time, where we can glimpse traces of the new Renaissance influence that began to prevail in the historical era in which it was made. As was usual in this type of work, the artist added a portrait of Maese Rodrigo in the altarpiece. 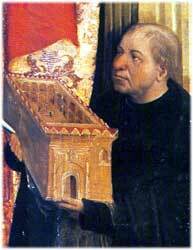 In it, the archdeacon appears carrying in his hands the scale model of the College-University that he had dreamed of and with which he gave the opportunity of access to higher studies to so many Sevillians more than 500 years ago. 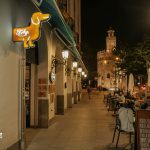 A few meters from where his school and our restaurant was built, we can find Maese Rodrigo street that honors this peculiar Sevillian ecclesiastic. 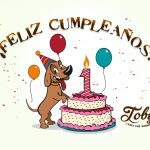 A beautiful and curious history of the tradition of Seville to know it, walk it and then discuss it in your favorite Pet Frienly restaurant in Seville, TOBY eats the world!